Mid October and as long as you haven't heard anything from me (nowhere than Instagram or maybe Twitter), I've been on a total workaholic mood. First work deliveries are just around the corner, I feel like I've got involved on so many activities this year (both Architecture School related or extracurricular) while I still have to manage the blog, my personal portfolio, attend to English classes (woohoo! Hope you can see some improvement around here too) and overcome some daily madness always related to college and classes. In fact, I'm writing this in the middle of a break while eating a pair of toasts and listening to a "motivational-survival" playlist. Anyway. We're already into Autumn and its reddish colors and wind in the mornings. 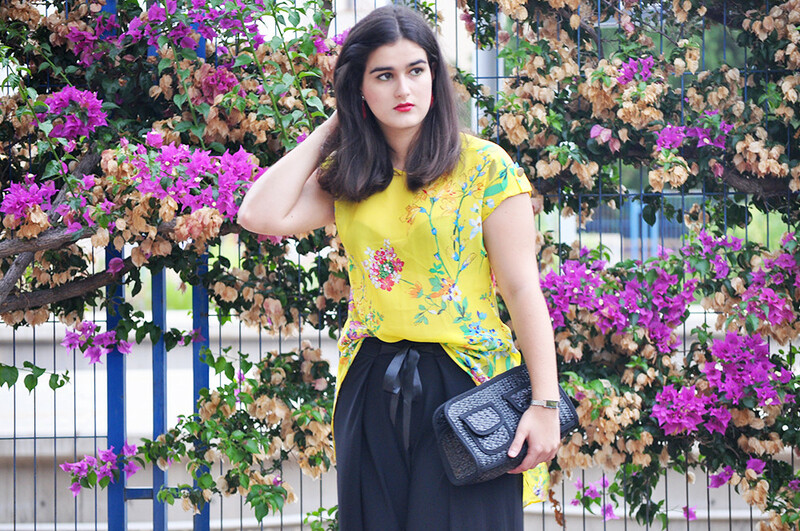 Although it may not be the best of weathers, if you live on a city like Valencia where the winters aren't cold at all, and it hasn't snowed yet, here I'm showing you a nice idea to dress up to a formal-semi formal event this Autumn! I've had this asymmetrical, tail floral blouse from Primark for years but as it is a bit thin and semi-transparent I never had the chance of wearing it before. 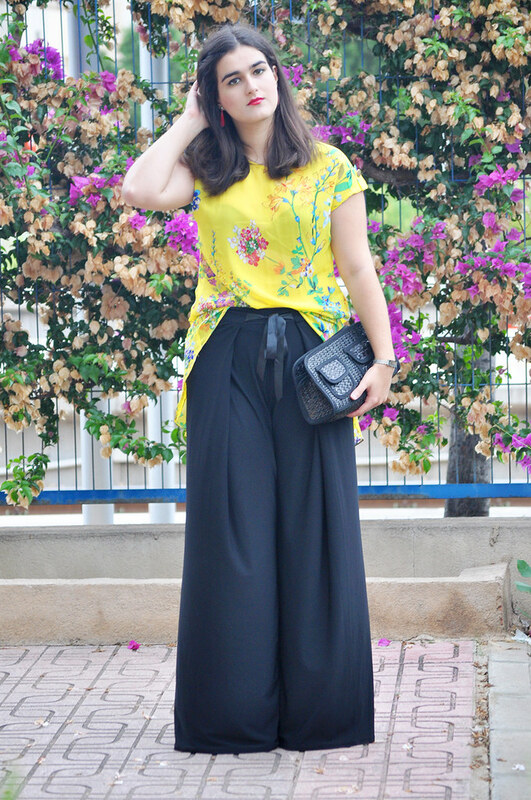 I think it would look good either paired with a more straight shape on the bottom (like a pair of straight jeans or skinny jeans) or a more elaborated, wide shape like this palazzo pants I paired it with. The key is to make you look taller and slimmer by mixing different proportions. The whole event outfit here is really simple, though. 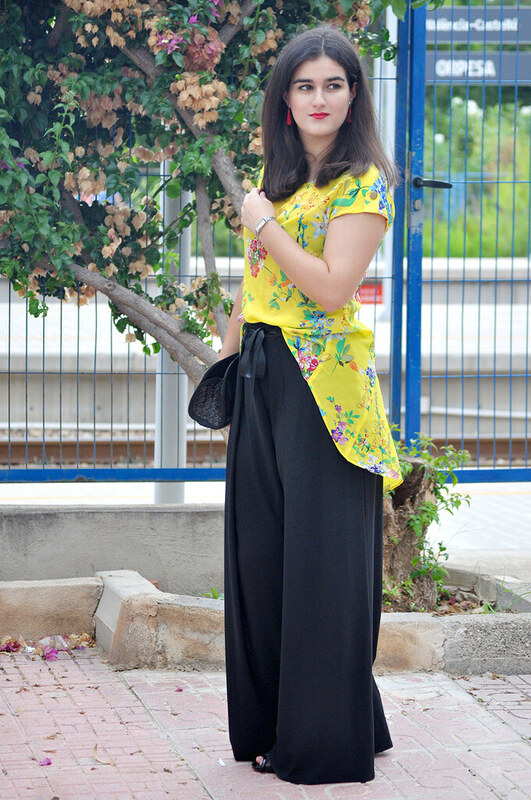 Blouse + palazzo pants. 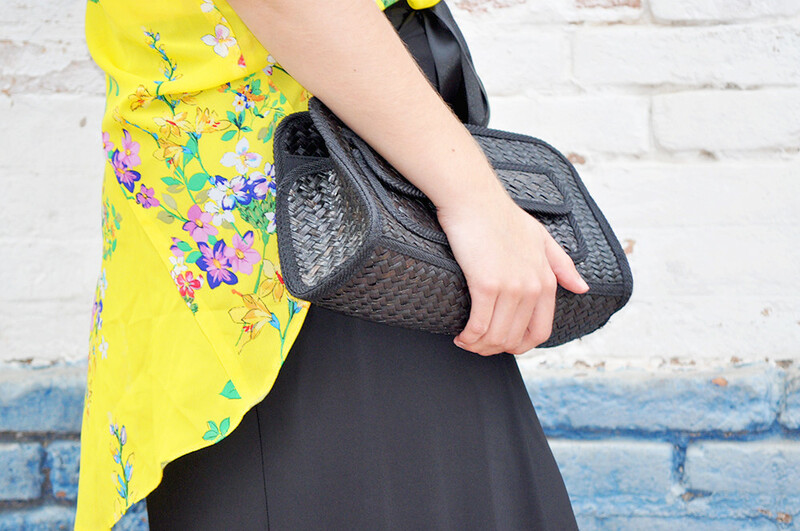 Then a vintage but really simple black clutch. 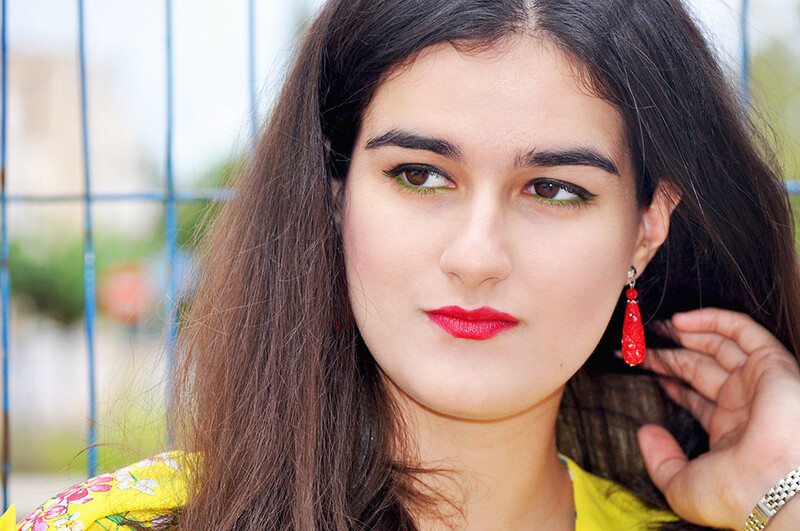 Statement earrings and makeup, wearing a really bright green eyeliner under my lower lashes to make the eyes pop. I promise there's nothing complicated or too time-consuming to it! What would you wear to an Autumn event?